The last couple of years have been great for the Florida real estate market. Homeowners have seen huge gains in property values, with many areas experiencing double-digit increases. But is this growth sustainable? If not, how much longer will it last? Some industry experts suggest that home value appreciation may slow down in the near future. Other forecasters say we may be faced with lower home values in some communities. And something agreed upon by almost all of these experts is that rising interest rates will be to blame for falling home values. Over the past few years – since the markets have rebounded from the Great Recession – we’ve gotten used to extremely low interest rates. But they’re now on the rise. We’ve seen rates increase sharply since the early-November elections. After dropping below 3.5% in the beginning of the year, the average 30-year fixed rate mortgage now runs just over 4.0%. That’s the first time in more than twelve months that rates have been above that threshold. While there’s no way to know where interest rates will go next year under the new administration, the general consensus is that additional rate hikes are inevitable. And they’re likely to happen sooner, rather than later. As interest rates go up, home affordability goes down. When interest costs increase, monthly payments also increase. Even a minor fluctuation in rates can put a home out of reach of many potential buyers. A first-time buyer home buyer who is planning to use a low-down payment FHA loan can afford to spend up to $1,300 per month towards a mortgage. Locked into a 3.5% interest rate mortgage, the buyer could afford up to a $300,000 home and just squeak in right under budget. But, if interest rates rise to 4.5% – and we’re currently half-way there – that same buyer could only afford to purchase a home with a maximum value of around $265,000. Any price above that would put them outside their $1,300 per month budget. We’ve become so accustomed to record-low interest rates over the past few years that we sometimes forget that 4.5% is still well below historic averages. A decade ago, 6% was considered a great rate, and in the 1980’s, annual average rates topped 16%. Even at 6%, the purchasing power of the buyer in our example would be limited to homes priced at $225,000 and below. It’s easy to see how quickly rising rates could eliminate many prospective buyers from the market – especially with current home values. In this rising interest scenario, sellers who are planning to sell their homes for $300,000 will face a more limited number of buyers. Motivated sellers who understand the changing market are likely to drop their prices in order to close a deal quickly. What Can We Expect in South Florida? It’s no secret that Florida has a dynamic real estate market – much more so than many other popular parts of the country. When we see growth, it’s often rapid, and when the market slows down, it can take a little time to recover. If interest rates continue to rise, we can expect that many potential buyers will be priced out of the market. There is already an issue with affordability in many areas, especially those relying on younger buyers. Incomes for this age group are not increasing quickly enough to keep up with the rising cost of housing. This income gap could create a severe lack of qualified buyers. Homeowners who don’t need to move may be able to weather the storm. But those who need to move within the next few years may face a shortage of qualified buyers; this economic reality may force them to lower their prices. This will mark a dramatic departure from today’s seller-friendly market. 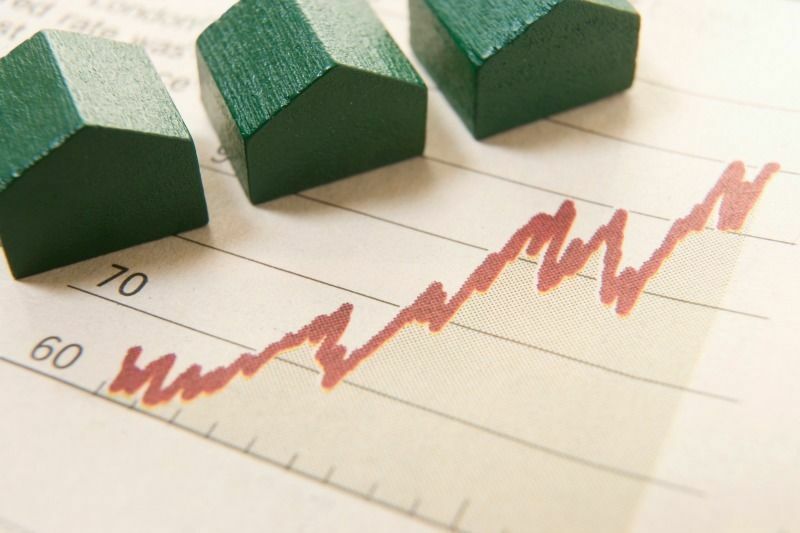 Luckily, real estate is cyclical – there will always be upswings followed by downturns. Homeowners who have no intention of relocating any time soon will be fine – they might not even notice a disruption in the market. But if you’re thinking about selling – and especially if you’re considering doing so because of current market conditions – you may want to add a little haste to your timeline. While interest rates are expected to hold steady for the next couple of months, there’s a good chance that they’ll move higher next year. Expect few hiccups in the local real estate market when they do.